There’s nothing like seeing time fly before your eyes quite like holidays with your kids. One minute you’re searching for ladybug costumes and the next you’re sending them off to haunted houses and parties. 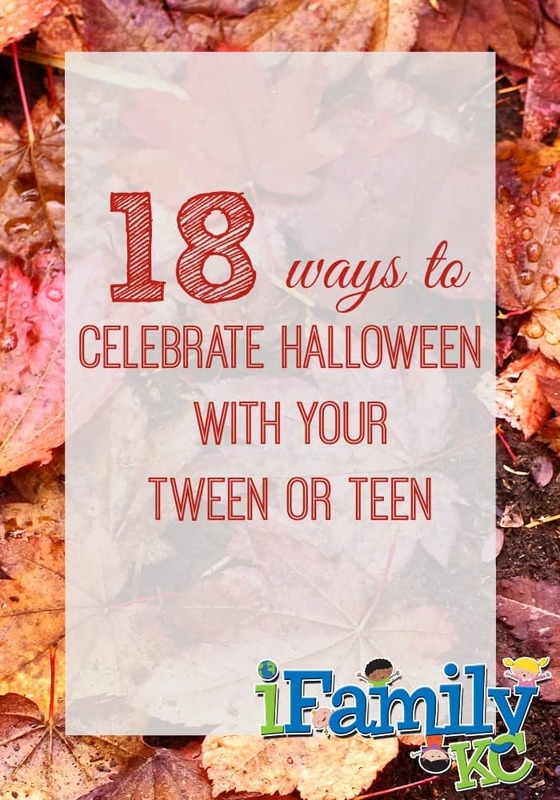 Our Mom Squad Ambassador, Leah, knows this feeling all too well and has some great tips for celebrating Halloween with the tween or teen in your life! Check it out. Can you believe that it is already October? My goodness where has the time gone? Speaking of wondering where the time has gone… I can’t believe that same little boy that I once dressed up as an elephant is now fourteen. Man, I miss dressing him up and going on our trick or treating adventures together. I also really miss going to his classroom parties! However, just because he is grown up doesn’t mean we have to stop celebrating together! There is still so much to do. We now enjoy going over to our friend’s house on Halloween and having a bonfire. We all get to sit together and see all the trick or treaters in action. My son actually really enjoys seeing the little kids all dressed up, and I enjoy seeing him exchange interactions with them as well. I have to admit it is my favorite part of Halloween as well. Who doesn’t melt at seeing a mini princess or a handsome little pirate? I know I sure do! Now that he is older we can do so many things we couldn’t do when he was younger. So, as sad as it may be that he is getting older… it is pretty exciting too! Here are some of the activities we have gone to together or are planning on going to this October! Many can handle the scares set up in a horror film, but far fewer are brave enough to stand up to the frights in real life. Macabre Cinema does just that, putting travelers into spooky scenes from classic and contemporary horror movies. 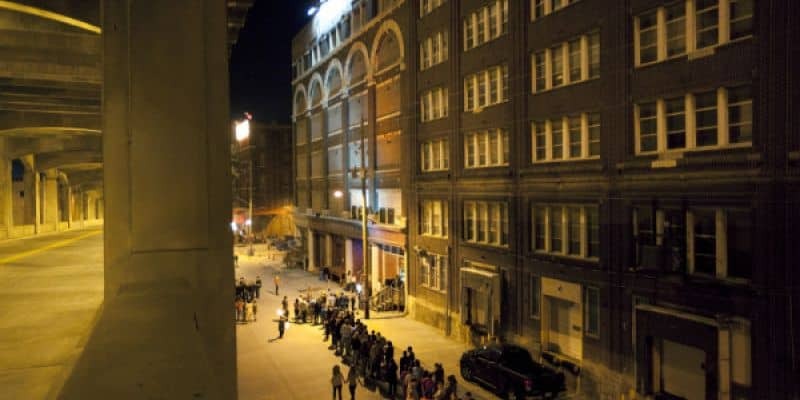 To add to the authenticity, portions of actual movie sets are included in the four-story West Bottoms haunted hotspot, including from both The Mummy and Hellraiser. Some of film’s most memorable characters are sure to be spotted in this nightmare-fueling adventure. Address: Macabre Cinema: 1222 W 12th St. Hours: Opens Sept. 23 through Nov. 5. Evenings 8 p.m. and closes when we call cut to this 4D experience. (Friday/Saturday through Oct. 8, Thursday-Saturday beginning Oct. 13 plus Sunday Oct. 23 and 30. Also, open Halloween, Monday, October 31.) Saturdays in October opens at 7:30. Macabre Cinema Haunted House takes you from the screen to SCREAM. See the action of classic and contemporary horror scenes through a haunted 1930’s movie theatre with 4 floors of thrill and an option to take a daring dash down the 4 story bat pole. Actual movie sets from The Mummy and Hellraiser movies are part of the attraction. Worlds of Fun becomes Worlds of Fright with Halloween Haunt, the Midwest’s largest Halloween event and one of KC’s most fearful fall traditions. Every Friday and Saturday night during the month of October, the family-friendly park transforms into one of the scariest destinations in town as the otherworldly Overlord awakens his army of ghouls each evening. Featuring 13 extreme haunts, more than 500 monsters, spooky shows and chilling thrill rides, the Haunt promises Halloween terror for everyone 14 years old and up. Address: 4545 Worlds of Fun Ave. 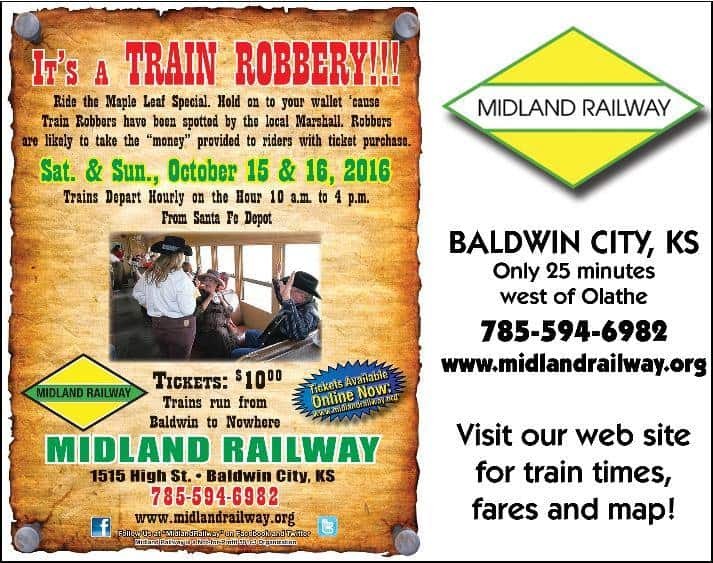 Train Robberies! October 15 & 16, 2016. Trains depart every hour each day, starting at 10am and last train departs at 4pm. $10.00 per person. Get your tickets online! The John Wornall House is often regarded as one of the most haunted locations in Kansas City. Join us for one of our popular Ghost Tours to find out why! Take a one-hour tour of the house and hear about some of the spookiest sightings in the house, learn about the gruesome Civil War history that gave the house its haunted reputation and end the evening with a special presentation from the Heart of America Shakespeare Festival. Tours leave at 6:30, 6:45, 7:15, 7:45, and 8:15. Tours leave at 6:30, 6:45, 7:00, 7:15, 7:30, and 7:45. Tours leave at 6:30, 6:45, 7:15, 7:45, 8:00, and 8…:30. Tours leave at 6:45, 7:15, 7:30, 7:45, and 8:00. $15 per person. Tours leave every 15 minutes and last approximately one hour. Arrive early to enjoy a snack and hot beverage in the carriage house before your tour. Children under 16 must be accompanied by an adult. Advance ticket purchase strongly recommended – walk-ins will be accepted as space permits, but many tour times will sell out! This event takes place on October 14th and 15th from 6-10 p.m. Visitor Center activities will open at 4 p.m.
GLOW Jack-O-Lantern Festival is a spellbinding Halloween experience at Powell Gardens. More than 700 hand-carved Jack-O-Lanterns will light a one-mile trail through the Gardens. 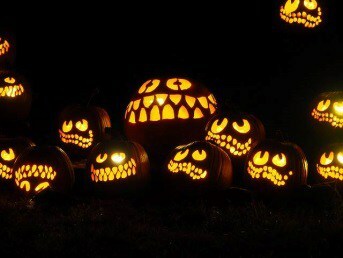 Enjoy incredible jack-o-lantern scenes along the way. This year’s path is new and improved! $12/adults, $10/seniors, $5/kids 5-12, free/kids under 5 and Gold-level or above members. Click the ticket link or call Linda at 816-697-2600 x209 now to reserve your tickets! You can also purchase tickets at the gatehouse when you arrive. NOTE: Each day, Visitor Center activities begin at 4 p.m., hayrides begin at 5 p.m. ($3), and the jack-o-lantern trail opens at 6 p.m. Visitor Center – The building will be transformed into a Halloween wonderland! Enjoy pumpkin painting, popcorn, food in the cafe or at the grill, beer and wine at the bar, temporary tattoos, and voting for your favorite jumbo jack-o-lantern! Harvest Hayrides – Enjoy a rustic, 20-minute hayride! This is a fun way to experience a bit of country wilderness in the dark! Tickets $3/person (kids 2 and under = free). Festival Stop – At the midpoint on the trail walk, take a break at the bonfire and enjoy food and drinks from 5 vendors, as well as beer and wine at the bar! Also check out a live pumpkin carving demonstration and an exhibition of work by master carver Rudy Garcia! NOTE: Please bring cash, as some food vendors might not accept credit cards. Santa Fe Trail Drive & Pflumm Road, Lenexa, Kan.
Come on out in your favorite Halloween costume to Sylvia Bailey Farm Park. 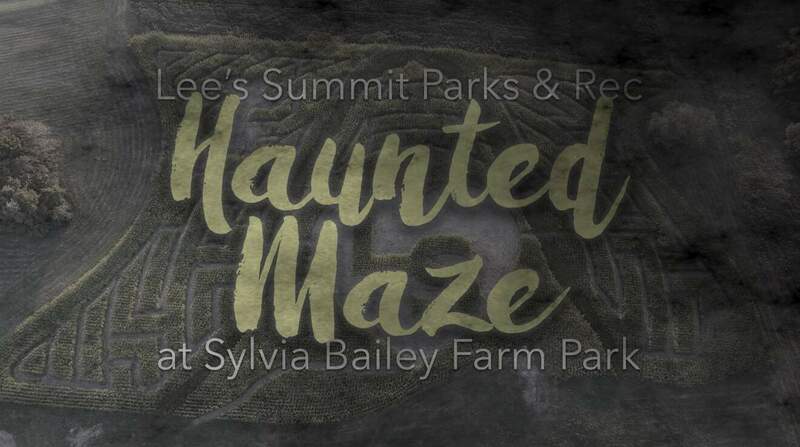 You can roam through the Haunted Maze and take a hay ride. Other activities will be available as well, like pumpkin bowling, Hay Mountain climbing, camp fires, the kids favorite Corn Box and more! Concessions will be available throughout the evening. $5.00/person and 3 and under are free. My son, his father, and I attended a Haunted Trolley ride in Atchison Kansas about 8 years ago. We had so much fun. We would totally go back. I included several activities they have going on in October. However, they have way too many activities to list. Hop on their website and see what all they have to offer. You could make a whole day of ghostly activities to do as a family. If you are super brave you could even stay the night in Atchison’s Scariest haunted house. Below I have featured two of their actitivites. Learn the basics of ghost hunting on a budget with this dynamic brother and sister investigating team. Keli Adams of Adams Family Paranormal is an avid Ghost hunter and Paranormal Enthusiast, who has been investigating for over 25 years. Her little brother Rob has been investigating different phenomenon for over 11 years. Together they will explain the beginning tools of the trade to begin investigating on your own! You will receive information on the different types of ghosts/energies, the correct protocol for conducting a valid investigation and also the basics of analyzing data. There have been pictures and data that have been captured from the famous historical Theatre Atchison building! Check in 10 min before event. For those afraid of things that go bump in the night, the faint-of-heart, schools or clubs, the Sallie House is open for daytime tours by reservation only. Take a self-guided tour of Atchison’s most famous haunted home. This self-guided tour allows visitors to explore at their own pace. Take 20 minutes. Take an hour. It’s up to you. Pull out your cameras and try to catch some paranormal events on film or on video! But don’t miss this chance to explore the most haunted of them all! Arrive any time during designated tour time. You can pick up your ticket at the Santa Fe Depot anytime the day of your tour but you must have a ticket to enter the house. I was going to go get our mail and saw that two of our neighbors had decorated their front doors. I thought this was too cute! It looks like they just took plain table clothes and used items to create their own door cover. 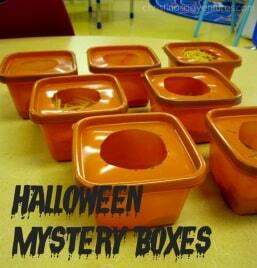 I have also included a link to find additional ideas and instructions on how to make your own. 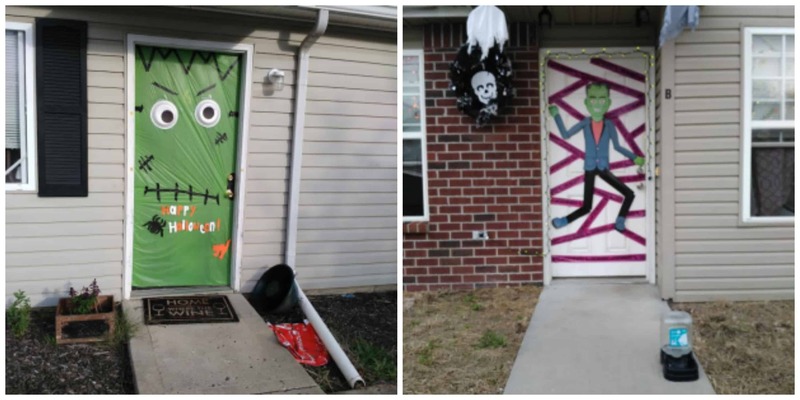 The two pictures below are of my actual neighbors doors. Here are a few links for inspiration on how host your own Halloween party! What a cute idea. Throwing a Halloween Party in 5 Easy Steps! As the evenings are getting cooler, it’s the perfect time for a heart-thumping, sweat-dripping night game of CAPTURE THE FLAG. Glow stick-style. Gather a big group of friends who aren’t afraid of the dark and like to chase each other. Divide up into 2 teams. Get your glow-on. 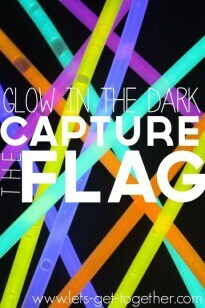 You will need 2 glow sticks of different colors – these will be the flags. Each player will need 2 glow bracelets, one for each wrist, the same colors as the flags. Half of your group will wear one color for their team. The other half will wear the second color. Don’t activate your sticks until just before you are ready to play. – Players can’t hide their glow bracelets under any clothing. – You can also play this rousing game indoors using a gym or basketball court. Select two corners of the room for jail and put the flags (glow sticks) there on either end. Activate your sticks and turn off the lights! I just love this idea. Teens can still dress up by hitting up a Thrift store and finding outfits to where that fit their part. 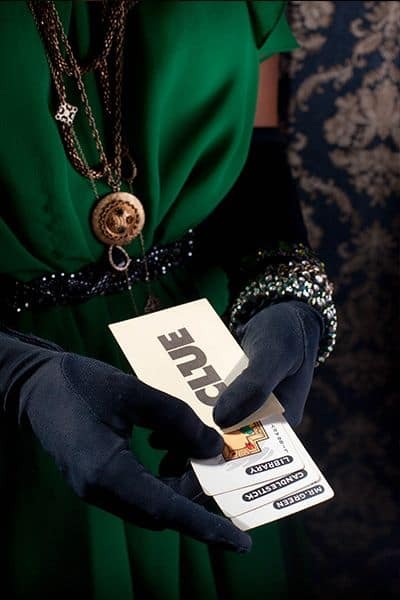 Check out Pinterest or the link below for menu ideas, scripts, and costume ideas for the party. I loved this idea. My son would really enjoy this too. My thought is I will make several that he will not know what is in them and he can do the same for me. I will then blind fold him and have him touch them/ guess what they are. Here’s an easy way to spruce up your home and get the older ones involved. Have each guest bring their own pumpkin and you supply paint and carving tools. Then host a contest of “most creative pumpkin”, “most unique pumpkin”, and “most festive pumpkin”, etc. Let the kiddos watch a Halloween themed movie. Make some popcorn and throw in some candy corn… you got yourself a party! Whatever it is you choose to do… just embrace the fact that you are doing something together. These memories will last forever .Your kids will never forget that you cared enough to take the time to invest in them! What are some ways you celebrate Halloween with your older kiddos? Give us your ideas in the comments! Become a member of our inner circle! Receive exclusive access to events, freebies, COUPONS, enter2Wins AND tons of Family FUN! Previous story Throwing a Halloween Party in 5 Easy Steps!